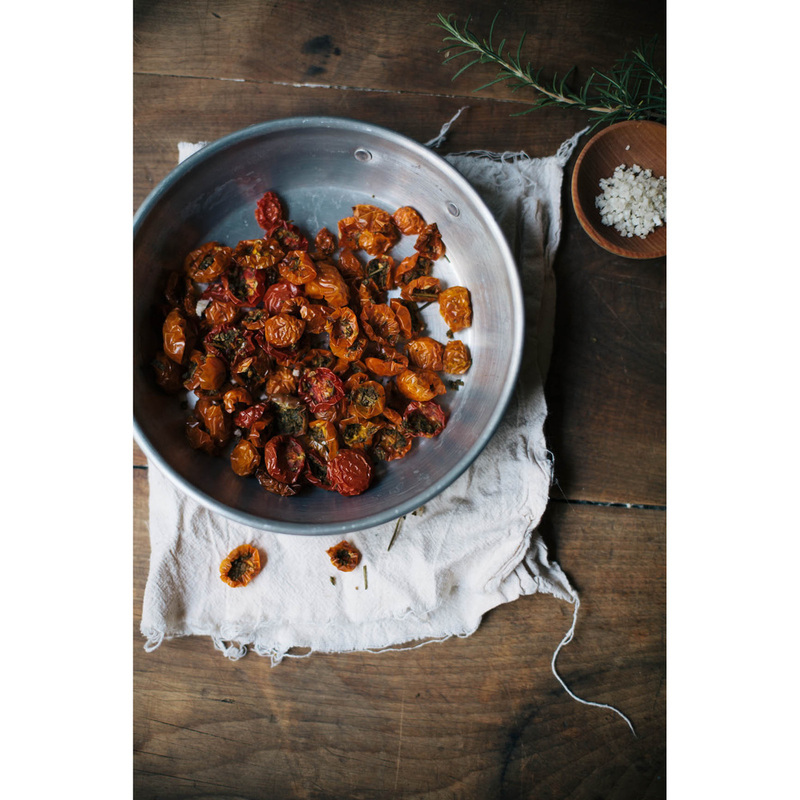 Oven Dried Tomatoes — always with butter. My neighbor has a plot in our community garden. It's really close to where we live, its a tiny little garden but must have some amazing soil because every time I walk by it is flourishing. Last week he gave me a bag full of cherry tomatoes from his section. They were amazing, so juicy and packed with flavor. I ate them up so quickly. The other day he gave me another bag full. I was so happy, more juicy little goodies to devour. I wanted to actually do something with them, instead of just eat them all raw, mainly just to give me an excuse to photograph them. I thought of maybe canning them, but their wasn't enough for that. So I decided to make 'sun' dried tomatoes. I don't have the patience to actually let them dry out in the sun, so I did the oven method. Which I presume is faster. 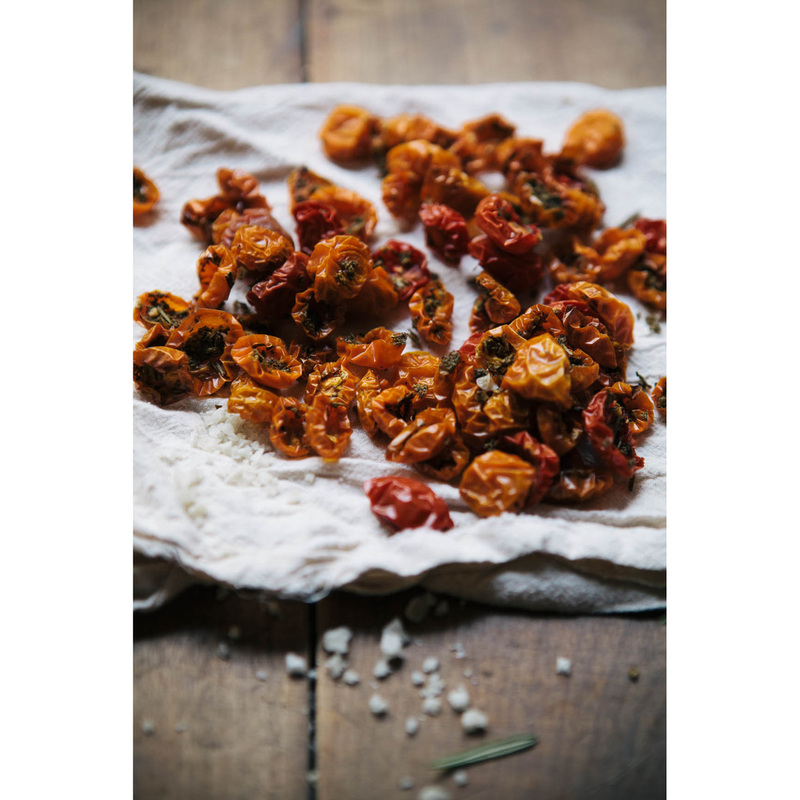 Obviously the end result is only a small amount of dried tomatoes, since they shrivel up to such tiny little things. But they are so amazing. A bit chewy and packed with so much flavor. So an update on my life. I am no longer a baker. In the professional sense. I still love to bake at home and for photos, but it is no longer my day job. I just couldn't take it any more. The horrible hours, physically demanding, lonely and the place I was at just wasn't for me. Maybe it was because everyone worked fairly early in the morning or maybe it is just how they are, but everyone was really negative. The conversations were always people complaining, bitching and whining about everything. From the amount of work they did or didn't have to do, to the bosses, to the recipes, pretty much just everything. And it seemed like everyone was always talking about each other behind their backs. Seriously and I was the youngest person their. It was exhausting, when you pretty much spend most of your life at work, you want to at least get on with your coworkers. Now while I liked some of them, a few rotten apples ruin the bunch. I had come from a previous job where I considered my coworkers my close friends. On my first day back from a weekend, I was always itching to talk to them. This job was never that case. I needed something completely different. So I'm now working at a boutique on the main street in town. It sells super high-end shoes, handbags and clothes. Like Louboutin's and Jimmy Choo's. Everything is gorgeous. After only working a few shifts so far, I really like it better. I get to have a normal schedule, wear real clothes to work, talk to people and all my new coworkers are really nice. I'm excited for this new adventure. When I put two weeks notice at my old job, my chef went 'I can't believe your leaving HERE to go sell some shoes.' And I don't think he will ever understand, but I do so thats all that matters. Oven on the lowest temperature possible. 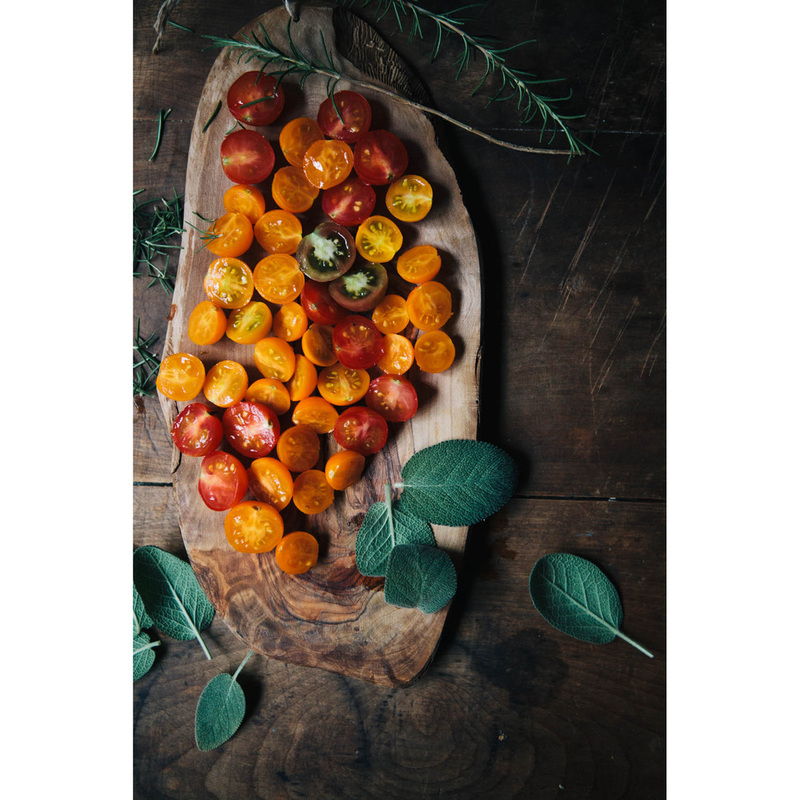 Cut all tomatoes in half, toss is a bowl with salt, pepper and herbs. Place, cut side up, on a silpat or parchment lined baking sheet. Place in oven and leave until dry and shriveled. Mine took 3 or 4 hours, it depends on how big your tomatoes are.